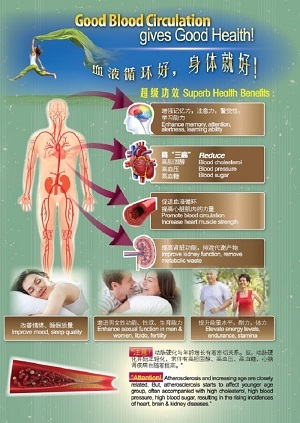 A healthy body comes from a good blood circulation. Formulated with 3 unique ingredients – Ginkgo Biloba, Tongkat Ali and Panax Ginseng, Ginplus is definitely your choice to a better health. 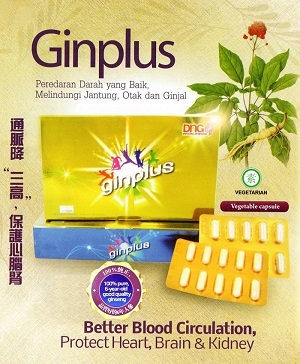 Ginplus helps to improve our blood circulation, preventing you from the symptoms of poor blood circulation like fatigue, body aches, poor memory and pain on the legs. When your blood circulation is good, you have much lesser chance of getting heart disease and stroke. 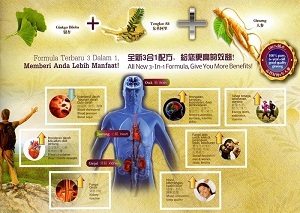 Ginplus is no other health supplement for you as it contains 3 superb ingredients to give you the best health results. When these ingredients are combined, their health goodness is far beyond that of just taking any one of them! Ginkgo Biloba – “Tree of Life” It’s been on earth for more than 200 million years! Being used as a traditional Chinese herb for centuries, ginkgo is also widely used in western countries for health care. Ginkgo leaf extract has been proven for its antioxidant and cardioprotective effects. It helps regulate the tone and elasticity of blood vessels, and thus increases blood flow to our brain, heart and extremities. Clinical studies have demonstrated that Ginkgo Biloba extract provides therapeutic benefits to Alzheimer’s similar to prescription drugs. 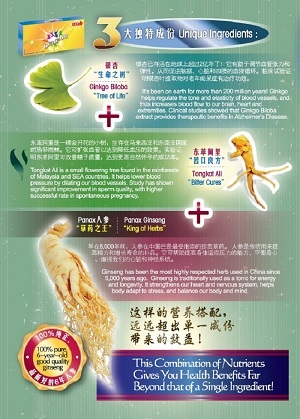 Panax Ginseng – “King of Herbs” Ginseng has been the most highly respected herb used in China since 5,000 years ago. The name “Panax” derived from Greek means “all-heal”, great healing. Traditionally used as a tonic for energy and longevity, ginseng is now popularly used because of its various therapeutic effects. It helps our body adapt to stress, balancing our body and mind. 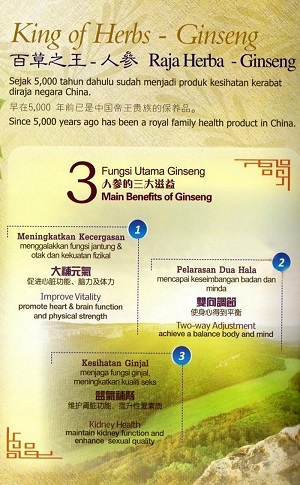 Ginseng strengthens our heart and nervous system. Research has shown ginseng’s ability to lower blood sugar and enhance insulin release from pancreas in diabetes patients. Tongkat Ali – “Bitter Cures” Tongkat Ali is a small flowering tree found in the rainforests of Malaysia and SEA countries. Its roots have been used to reduce fever, cure mouth ulcers and intestinal worms, inhibit cancer growth and as an afterbirth tonic. It helps lower blood pressure by dilating our blood vessels. Nonetheless, Tongkat Ali is more highly regarded for its aphrodisiac properties to increase strength and libido. Study has shown significant improvement in sperm quality, with higher successful rate in spontaneous pregnancy. 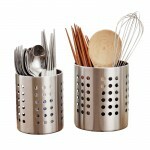 DIRECTIONS FOR USE Take 2 capsules two times daily after meals. If you have any medical conditions, please consult your doctor before taking Ginplus Capsule. Note: For more information please contact a member of staff for more detail.